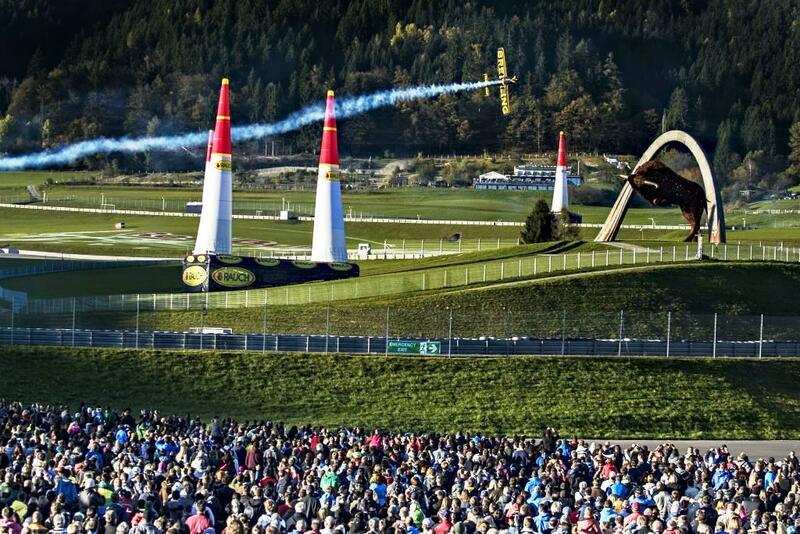 Britain's Nigel Lamb won the 2014 Red Bull Air Race World Championship on Sunday with a dramatic victory under pressure at the season finale in Spielberg, Austria, with a heart-stopping second place finish after Austria's Hannes Arch ended up a disappointing fourth place in a nail-biting final in front of a sell-out crowd of 35,000 spectators. Cheered on by the boisterous sell-out crowd, Arch had been unstoppable all weekend on the Formula One track not far from his hometown of Trofaiach. Flying last in the Final Four, Arch knew that he could win the world championship if he could fly faster than Lamb and the other two rivals. But he struggled early on the undulating course with its challenging 65-meter change in elevation and, forced to take risks on the second lap in an all-or-nothing bid to win the title, got hit with a two-second penalty for flying through one of the Air Gates with his wings not exactly level that dropped him to fourth place. The main CROATEL business activity is HDTV production. CROATEL has been working in the HD technology since 2007 and the technical TV production includes three HD OB vans with HD camera chains, super slow motion cameras, editing equipment, but also ownership and realization of HD playout system (technical facility) and ENG crews. In May 2014, CROATEL launched the new HD OB3 truck built on a Volvo FH420 chassis, prepared for UEFA standard, including sixteen Grass Valley LDK-8000 World Elite cameras and two LDK-8300 Grass Valley super slow motion cameras. CROATEL HD OB3 truck is designed to host up to twenty HD cameras and is fully equipped with a Miranda router system and Densite 3 frame units, including all cross-converter boards, multiviewer, references and embedders/deembedders. In the HD OB3 truck, CROATEL is using a Grass Valley Karrera Video Production Center Switcher with K-Frame, a Studer Vista 5 M3 Digital Mixing System including Meterbridge and Vista Compact Remote, as well as a Riedel Artist digital matrix intercom system. For more than 30 years, TVN MOBILE PRODUCTION has been reknowned for providing cutting-edge technology and qualified personnel for any broadcasting project. From HD/3G capability, optical interconnectivity to intercom, TVN MOBILE PRODUCTION has always set standards in regards to functionality and performance.All TVN mobile production units are designed and implemented by TVN engineers. The designs are based on the extensive and international production experience of the TVN employees. Due to this high degree of practical experience, all TVN mobile production units have an extremely efficient broadcasting architecture. The OB vans, flight case solutions and SNG units are multifunctional and each workspace can be configured to fit the customer’s requirements. Rec4Box has developed a modern OB unit that exceeds the creative demands of production teams while addressing the realities of tighter budgets and production timelines. The unit was created to offer a compelling solution not only for broadcasters and the rental companies, but also for production houses, educational and training institutions, college and professional sports programs, reality TV productions, government institutions, entertainment productions, and any other users requiring daily use of a mobile production vehicle for a series or event. Designed in collaboration with directors, producers, and technicians, Rec4Box OB units offer a transformative working environment with modular and highly adaptable details, workstation ergonomics that promote outstanding comfort, and trendy interior design. Mobile production specialist TNDV has added a sixth truck to its fleet, allowing the company and its growing staff to meet increasing demand for its live production services around the country. Dubbed Elevation, the 40-foot truck delivers all the power of the industry’s largest trucks in a more manageable, energy-efficient footprint. Elevation offers a similar video and audio infrastructure to TNDV’s other medium-sized, multi-format mobile production trucks, flexibly integrated to accommodate live and recorded shoots of any size. The architecture adopts TNDV’s strategy of flexibly customizing the workflow to meet any client’s demands, rather than forcing broadcasters, venues and other customers to work within a strict, fixed system. For the Brazil arm of Fox International Channels (Fox Brasil), coverage of this year’s World Cup tournament also signaled the move from analog to digital broadcast production. Temporarily deployed in the broadcaster’s studio at International Broadcast Center (IBC) in Rio de Janeiro, the Lawo audio consoles, routing system and video devices that made the move possible have in the meantime been relocated at Fox Brasil’s permanent broadcast facility, also located in Rio. The shift to digital was prompted by the need for greater flexibility, efficiency and reliability, which were crucial for coverage of the FIFA World Cup. BACK9NETWORK’s newly minted studios are a unique combination of “actual”and “virtual”sets that play a critical role in the network’s daily studio programming lineup, which includes “The Turn”(Noon, 3 & 7 PM ET), “Off Par (8 PM ET) and “The Clubhouse”(10 PM ET). “We wanted our set design partner to understand the atmosphere we were looking for to provide a balance to both enhance our storytelling and yet present an environment that reflects our home in Hartford,”said Carlos Silva, President and COO of BACK9NETWORK. Though FX started on initial designs in 2012, various challenges and changes cropped up throughout the process to meet the September 29, 2014 launch date. Collectively FX and BACK9NETWORK decided that versatility and variety had to be key components in building a set to accommodate different elements, different talent, and quick turnarounds. This resulted in designing and installing both a hard set and a virtual set. The Globecast Media Factory goes beyond traditional media management, logistics, and playout services. It replaces multiple, siloed operations, rationalizing them to create a single, efficient process that handles everything from video-on-demand preparation and content formatting through to creative services, quality control, and compliance. Media Factory allows Globecast to pass on economies of scale to customers who also benefit from the greater flexibility and the ability to scale up and down as required. Key technologies being deployed at the new U.S. facilities include an integrated suite from Evertz consisting of Mediator media asset management (MAM) with Playtime automation, OvertureRT integrated playout devices, VistaLINK PRO facility monitoring system, and MVP multiviewer. Based on the same architecture as that deployed for Globecast’s Singapore and London facilities, the new U.S. facilities will have a secure, fully managed hierarchical storage platform based on EMC Isilon and Quantum technologies. The Portland Trail Blazers of the National Basketball Association (NBA) have expanded its EVS live video production workflow with an XT3 media server, bringing their live-channel capacity for game broadcasts and other programming to 30, it was announced today. An EVS XStore NAS dedicated media storage system has also been added to the already extensive EVS-driven workflow. With built-in proxies, live multi-angle review and industry-first 12 live recording channel support, the new XT3 server gives the organization more power and capacity. XStore functions as flexible nearline storage, allowing craft editors to put clips into shared storage and make them immediately available in any format. Horse racing in the image quality of the German Bundesliga - to convince TV networks and sponsors horse racing needs to be produced in high definition. Baden Racing together with his partner RESE Group, already self-proclaimed as the supplier of the best pictures in the German horse racing sports, stepped into the future with the first HD production of the Grand-Prix day in Iffezheim. The horse races during the Grand-Prix day were covered with 12 Grass Valley HD cameras (in addition to the normal 7 standard definition cameras by the REESE Group). Together with Sportcast, the television production company of the DFL (German Football League), racing images were created by a high-speed camera on the final stretch. Austria's Hannes Arch led Red Bull Air Race rivals Nicolas Ivanoff of France, Paul Bonhomme of Great Britain and Peter Besenyei of Hungary into the stormy skies over the Red Bull Ring in Spielberg, Austria for a Recon Flight for Sunday's Red Bull Air Race World Championship showdown. Arch, a native of Styria and the 2008 World Champion, is currently in second place in the championship standings – the most exciting battle in the history of the sport. Arch is hoping an enthusiastic home crowd can help propel him past current leader Nigel Lamb of Britain in the eighth and final race of the 2014 season. Arch, who has won two of the seven races so far this year, led Ivanoff, the winner of the race in Fort Worth, Texas, current World Champion Paul Bonhomme, who is in third right behind Arch, and Besenyei for the Recon Flight with the bird's eye view of the newly renovated Red Bull Ring in Spielberg, in the Styrian mountains. Every four years the FIFA World Cup showcases the skill and talent of the world’s best players, but it is more than just a football tournament: It is the aspiration of FIFA TV to deliver a world class TV production. This year all 64 matches were produced on the basis of a 34-HD camera plan with increased coverage, content and features, as well as 4K and 8K camera coverage in addition to a wide range of multi-media services that complemented and enhanced the broadcast of the FIFA World Cup. It was with the help of a remarkable TV production team which consisted of over 2,000 professionals from FIFA TV, HBS, EVS, Sony, sonoVTS, Gearhouse Broadcast, deltatre and Eurovision. This team of highly skilled Live TV specialists delivered the world’s most watched football tournament to all territories on planet earth including the SpaceStation in orbit. Los Angeles based Lighting Designer Benoit Richard was responsible for lighting Underwood’s energetic rendition of “Waiting All Day for Sunday Night”, a re-working of Joan Jett’s classic “I Hate Myself for Loving You” for NBC Sports and San Francisco and New York based producers, Bodega Studios. Richard’s design included eight 35 foot high vertical towers directly behind the stage, each of which was rigged with five CycFX 8 fixtures. He then placed 32 x Pointes in between the CycFX 8 for yet more variety, making an impressive Robe back wall of highly versatile fixtures. It is the second year that Underwood has performed the Opening Intro for NBC’s number one TV show, and also the second year that Richard has designed the lighting for her performance, which was directed by Tripp Dixon with a production design by Evan Rohde. Lightning struck all summer at London’s Roundhouse this year, as a unique sound and lighting installation, Arboreal Lightning, formed the centrepiece of the venue’s Summer Sessions. K-array loudspeakers helped transform the former locomotive shed into an interactive art space. Commissioned by Imogen Heap as the centrepiece for her Reverb mini-festival in August, Arboreal Lightning was a large-scale interactive installation, designed by Alex Haw at his atmos studio, which transformed sound and gesture into a fully immersive environment. Built at the side of the Roundhouse stage, the tree’s LED strip ‘branches’ spread throughout the venue’s structure, reacting to the sounds produced by both performers and audiences. A key part of the project was an ambisonics surround sound installation so, when performances were not taking place, people could enjoy a totally interactive experience. To launch their much-anticipated new album Ghost Stories, Coldplay played a pair of intimate live shows in California, which were filmed and broadcast on network TV stations around the world. The high profile event marked the debut of a second DiGiCo SD7 mixing console on the band’s live setup. Coldplay Front of House engineer Dan Green adopted the SD7 in 2011, for the band’s Viva la Vida tour. Its success persuaded monitor engineer Chris Wood to join him, the launch of Ghost Stories proving the ideal launchpad for a significantly enhanced audio system. AJA Video Systems' Io 4K device for professional video and audio I/O was used to facilitate 4K playback for VFX review on director David Fincher’s “Gone Girl, from 20th Century Fox and New Regency. Based on the bestselling novel of the same name by Gillian Flynn, “Gone Girl” stars Ben Affleck, Rosamund Pike, Neil Patrick Harris, and Tyler Perry and was released by 20th Century Fox on October 3rd. The "Gone Girl" production workflow was very ambitious from the get go, captured in 6K using RED Dragon cameras. The film's post-production engineer, and CTO of Open Drives, Jeff Brue oversaw the systems integration supporting the complex workflows required of working in such high frame rates. Gefen’s new 4K Ultra HD Extender for HDMI over One Fiber delivers resolutions up to 4K (3840x2160@30Hz) with RS-232 and bi-directional IR using one SC-terminated fiber optic cable. This long-range solution is effective up to 1000 meters at 4K resolutions and up to 2000 meters at 1080p/60 full HD. RS-232 offers an easy method of system automation while bi-directional IR facilitates control from both local and extended locations. Installation is plug and play simple, requiring a single strand of multi-mode fiber optic cable to connect the sender (source) to the receiver (display). The use of fiber optic cabling provides EMI (electromagnetic interference) protection for mission-critical applications. The metallic enclosures further insulate against ambient noise. Automatic calibration based on the length of the cable is included to refine the quality of the delivered video.